Every year, brands spend billions on communicating their brand message and values to customers. The value of selling this brand promise to consumers has long been understood. But the idea of ‘internal marketing’ – communicating a company’s purpose and brand values to employees can sometimes be overlooked. Employees, like customers are drawn to what that brand stands for. And whilst a company may have ambitious plans to be no. 1 in their chosen field, people don’t bounce out of bed in the mornings, fired up by the thought of making profits for their company. Feeling that they can contribute to something meaningful is much more motivating. Innocent’s ‘Tastes good, does good’ means a lot more to employees than ‘having the most market share’ for example. But purpose and commercials are not mutually exclusive. According to Havas Media’s 2015 Meaningful Brands Survey, the brands that have the strongest sense of purpose are also the most profitable. One argument is that if you have a strong sense of purpose it actually makes it much easier for companies to make the right decisions as an organisation. Given the importance of people to any business, getting the employee engagement right is a significant win: a genuine brand ambassador who continues to be so outside of the work place is a powerful advocate for any organisation. But that only works when the company’s purpose is clear and is something that people are able to engage with at an emotional level – employees need to understand what your purpose means and how it translates into actions. 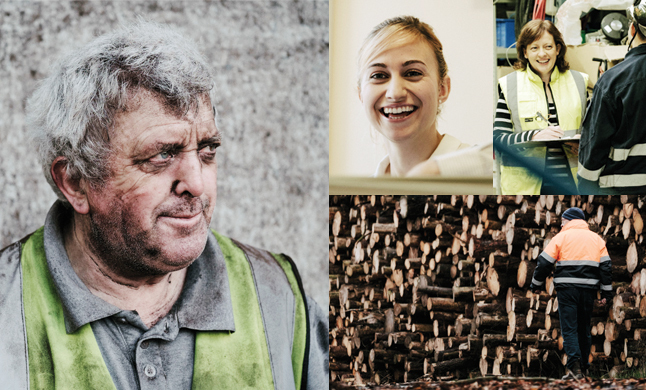 In the case of the rebrand of Bord na Móna, the employee engagement was an integral part of the whole rebrand process and it started at the very beginning – when we set about defining what the brand stands for. Getting your purpose right is crucial as it is the foundations upon which the brand and organisation is built. It has to be authentic too – what we call a ‘brand truth’ because when you agree your purpose everything the organisation does has to deliver on that. To get to the core of what drives Bord na Móna we sought out input from a wide variety of stakeholders involving the company as a whole through a series of interviews and workshops, knowing that their employees would engage far better with something they feel they have had some involvement in creating. Through this process, we defined Bord na Móna’s purpose as ‘Naturally Driven’. 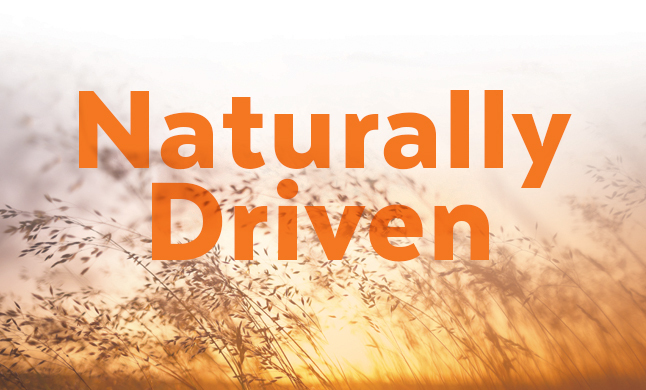 Naturally Driven is rooted in the DNA of the company. It speaks not only to the expertise and the innate ability of Bord na Móna employees to take something ordinary and make it better and more useful, but to their drive to unlock the true potential of our natural resources and use them to provide a sustainable future for us all. In order for a brand’s purpose and values to be lived in an organisation, they have to be owned by the leadership team, so through a series of stakeholder presentations, we gained buy-in from the top down. Employees from each of the key sites were the stars of the brand photo-shoot too; celebrating the role they play across the organisation and involving them in the creative part of the process. So having defined the core brand truth that was relevant and compelling for the group as a whole, and the diverse business sectors that Bord na Móna operate in, we needed to make it real and relevant for every single person in the organisation and everything that they do. 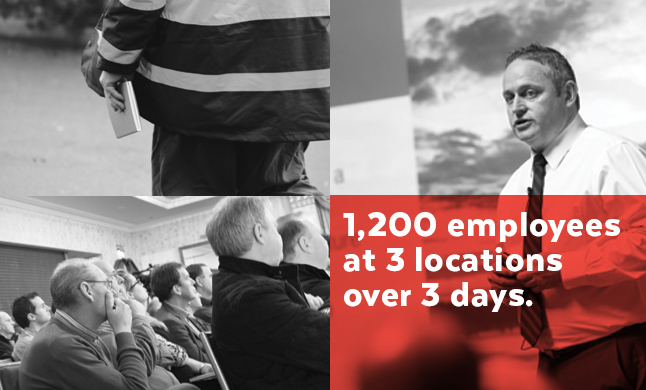 For Bord na Móna this meant getting all 1200 employees together at 9 different events at 3 locations over 3 days. This exclusive pre-launch enabled the leadership team to share their vision for the company, introduce the new brand and showcase what that would mean for each of the business units. It was also an opportunity to tell the Bord na Móna story and highlight the importance of the employees in bringing the new vision to life. 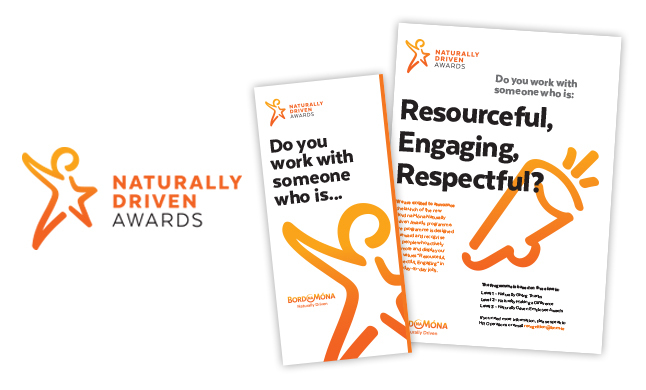 A new employee recognition programme was launched – the Naturally Driven awards to reward employees who live the company’s values in their day-to-day. New ways to share projects and achievements between divisions were also unveiled. Feedback from the sessions was extremely positive with everyone knowing where the company is going and the role they have to play in making this vision a reality.